Here's another pretty cool use of some of my photos. 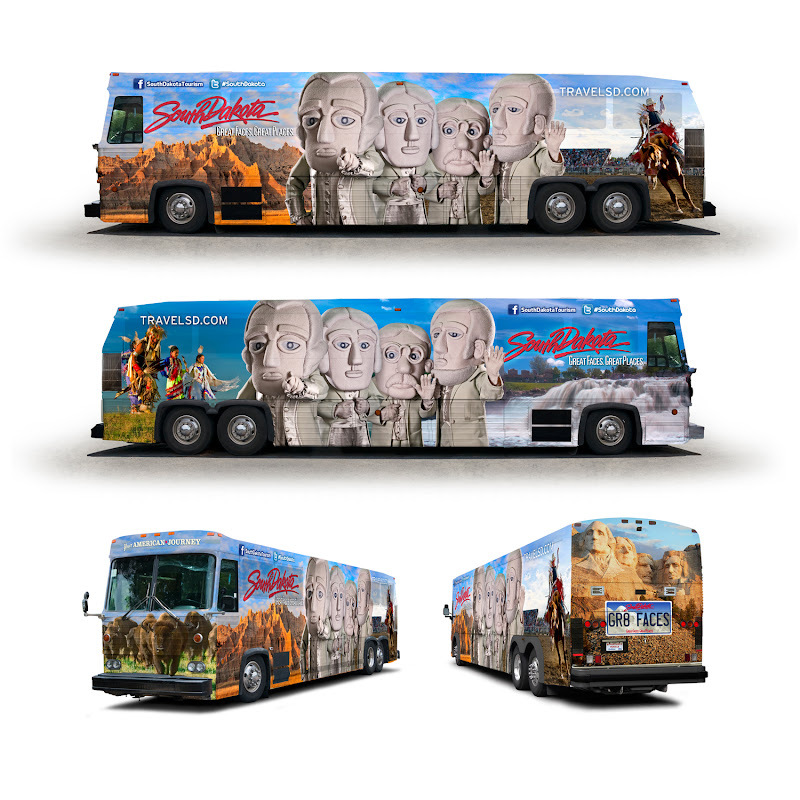 This bus will be touring through eight states in May and June. Former South Dakota Tourism intern Jenna Klopfenstein took the rodeo shot and the rest are mine. The presidential mascots and accompanying street team will also offer residents of these cities a chance to win one of four vacation giveaways. Contest details and registration can be found beginning May 15 on the Department of Tourism’s Facebook page, www.Facebook.com/SouthDakotaTourism. The contest runs through June 14, 2013. The mascots, designed to depict the mountain carving in the Black Hills, have traveled across the country the past two years, including a stop in New York City to watch the “Mount Rushmore’s American Pride” float in the Macy’s Thanksgiving Day Parade. The presidents’ journey can be followed online at www.Facebook.com/SouthDakotaTourism, or by using the hashtag, #SouthDakota, on Twitter (@SouthDakota).